Boom Boom Shahid Khan Afridi Is Considered One of the Most Popular Cricket around the world and at least In Pakistan no other Cricketer got more popularity than him. He Is loved by Millions of Kids, Old people, youngsters and all type of people of the society. In this post I will be presenting Shahid Afridi Wife Introduction for his die-hard fans who wants to know more about him and his family. 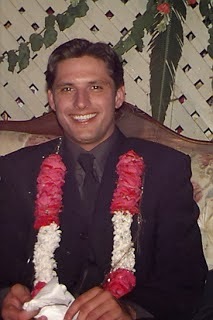 Afridi Is Married to Nadia Afridi and they have four daughters. According to Afridi he is really blessed to have four daughters. Afridi belongs to a religious family and after coming closer to Islam during the days when Inzamam was captain of Pakistani Cricket team he started practicing Islam even more. Wife of Shahid Afridi also observes complete Hijab. These days a Photo is circulating On the Internet and many people claims its wife of Afridi but the fact is that that Photo Is not of Afridi's Wife but his relative who lives in America. So this was brief Introduction of Afridi's Family.